I have now returned to school after 14 weeks of placement. This means I have significantly less time to read purely for pleasure and now have some required books to read in connection with my courses. However I am taking a course on Language, Learning, and Literacy. So our class is having a lot of interesting discussions on literacy in our country (Canada) and ways we can incorporate literacy into therapy (speech) sessions. I hope to bring some of those topics here to discuss how you feel about them. Our discussion was about What is Literacy through the books we treasured in our childhood or as we developed into the reader we are today. A lot of my early memories of books and the books I favoured involved other people, like my mother reading it to be before I could read it myself, of a teacher reading it to the class, of reading it with a group of peers and trying to figure out what it meant, of it being a gift from someone special, etc. Do you have some special books in your life that are special because of a connection to other people? We also talked about things that attracted us to literacy, e.g. the cover, illustrations, being interactive, the search of knowledge, the idea of being like the big kids/not "being a baby" (not being able to read), independance, etc. What drew you to literacy? What pushed you away? 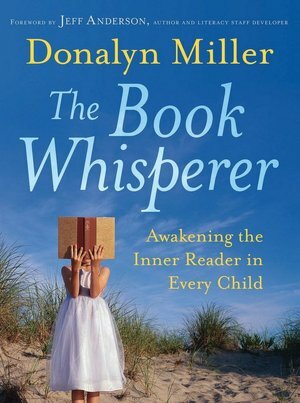 As part of this class we are also reading the book The Book Whisperer: Awakening the Inner Reader in Every Child by Donalyn Miller in the form of several book clubs/groups. We will read one chapter a week for the next 7 weeks and I will do my best to post each week my thoughts and feelings about that section of the book and I'd love it if you would join me. Read along with me or read it all and once it is up to you. However I ask that you will only impart your opinions week by week on the chapter being discussed to keep spoilers to a minimum. Or just let me know as a comment to this post if you have read this book and what you thought about it.